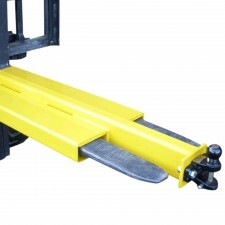 Moving trailers or lifting cars – both of these tasks can be carried out with the attachments shown in this category of forklift towing attachments. Utilising your forklift truck, our forklift towing hitch attachment, fitted with either tow ball or pin, can have you moving and repositioning items such as trailers with ease, all from the convenience of the forklift cab. Lifting and moving cars and other vehicles that are otherwise immobile can be achieved with our clever and easy-to-operate forklift car mover attachment. 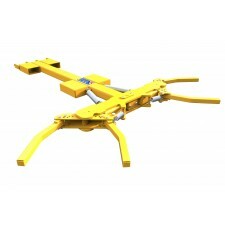 Discover more about our towing and car mover attachments by browsing the range below.